Winter 2013 Bates Magazine cover photograph by Will Ash. 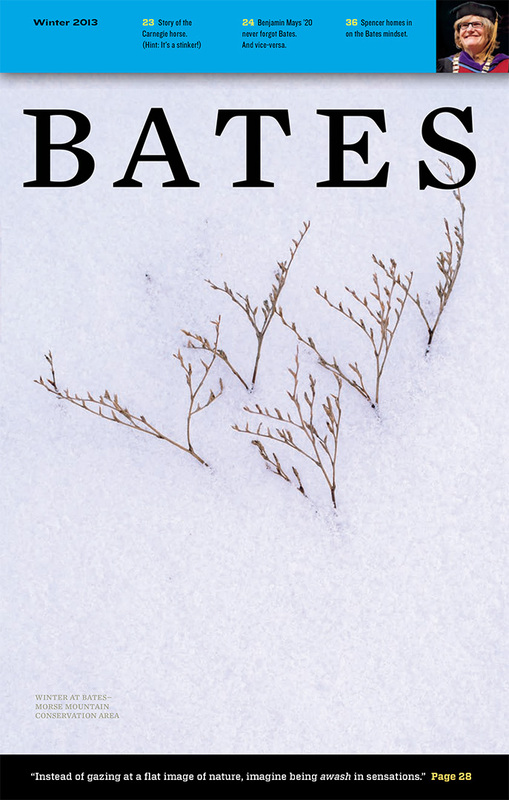 The cover of the Winter 2013 issue features a photo of grass tendrils poking out from the snow at Bates–Morse Mountain Conservation Area. The image, by photographer Will Ash, is among several dozen published in the book Between Two Rivers: A Year at Bates–Morse Mountain. The photograph invites readers to the essay “Beauty and the Brain” by Laura Sewall, director of Bates–Morse Mountain and a pioneer in the field of ecopsychology.